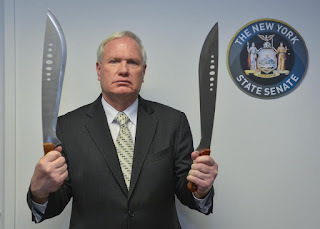 I don't think the guy with the machete should be mayor, but if NYC is attacked by space monsters, I, for one, would be absolutely willing to send him and his scary weapons to fight them. 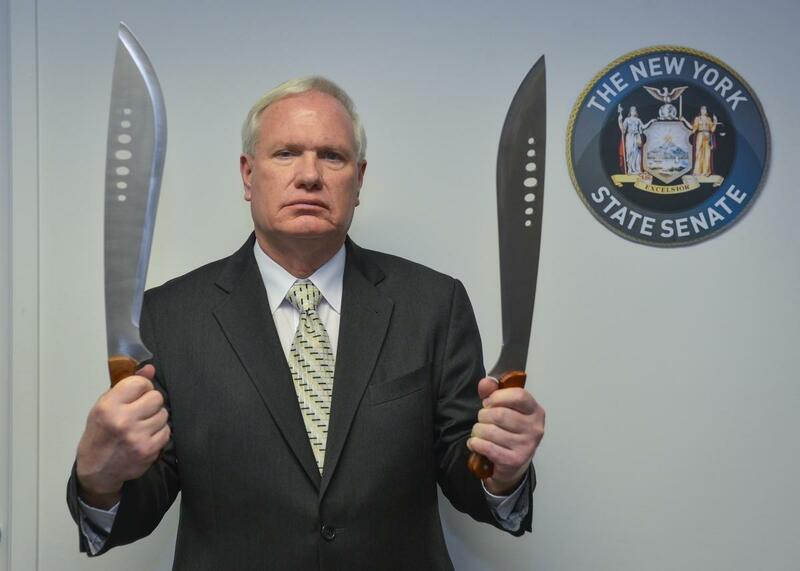 Lucky for that escaped bull in Queens today that Machete Man was nowhere to be seen. Could have gotten ugly. I figured the mayor would run against Trump. It is a smart strategy. Right now every NYC teacher might want to weep as de Blasio has not exactly been very good to us. His chancellor has continued the Bloomberg Klein war on teachers and solidified it into the system. What are the chances of it being much different in term two? Maybe we'll get a new Chancellor who is not anti-teacher. I hope so. Do you see any reason to be optimistic? Thanks for your insightful analysis. Rumor has it that Farina's out at the end of the calendar year regardless of whether de Blasio wins re-election or not. It's hard to know just how much of the nightmare we are experiencing is Farina's and how much is the coming from the leftover Bloombergians, but I suspect some of the micromanagement (including telling superintendents to tell admins to ratchet up bad ratings for teachers) is classic Farina. It's how she was as a principal, no reason to believe she'd change as chancellor. Alas, not sure it gets better if/when she goes. One piece of good news today: Massey looks like a clown. I was worried he might end up in if Dems had circular firing squad after de Blasio indictment, but he does not appear ready for prime time. He is an IDC sellout who keeps the state Senate in GOP hands. Charter school criminals get what they want in large measure because of hacks like Avella.